Stamp duty paid on all plots! Shipston-on-Stour is a charming small market town situated in South Warwickshire and ideally located on the edge of the North Cotswolds. This is a vibrant friendly town and has lots for everyone, individuals, couples and families to get involved. It was no surprise that Shipston was chosen as the regional winner of Best Places to Live 2017 by The Sunday Times. Families can enjoy days out at an array of locations nearby including Warwick Castle less than a thirty minute drive away. The town offers an excellent array of amenities including independent retailers, cafes and coffee shops, a wine bar and a selection of restaurants as well as a butcher, several grocers and convenience stores. Additionally a library, two banks, Post Office, medical centre and two dentists. Within the town there are five pubs, including the Black Horse Inn that is reputed for its Thai food, and also the Fuzzy Duck, in the Armscote, CV37 8DD and The Bell in Alderminster, CV37 8NY, both serving gastro-food. Several large supermarkets are less than ten miles from Shipston, including Sainsburys, Tesco, Waitrose and a Co-operative supermarket. Shipston on Stour is close to the A429 , which in turn offers excellent links into the M40 and M5 and the M4 access Stratford Upon Avon or Warwick in the North, Banbury and Milton Keynes to the East, Worcester, Cheltenham and Gloucester to the West and Swindon and Oxford to the South. The nearest train station is less than six miles away in Moreton in Marsh, or Stratford upon Avon train station is less than 10 miles away which offers trains to London Euston. Shipston on Stour caters extremely well for families requiring outstanding schooling with primary, secondary and further education options in the surrounding area. 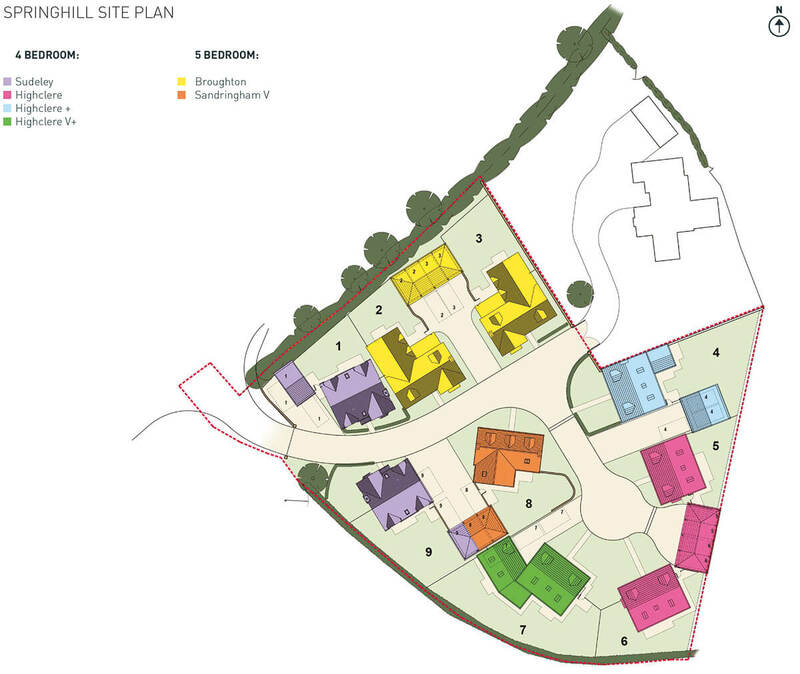 Every Springhill home has been sympathetically and empathetically designed to blend seamlessly with its existing surroundings. 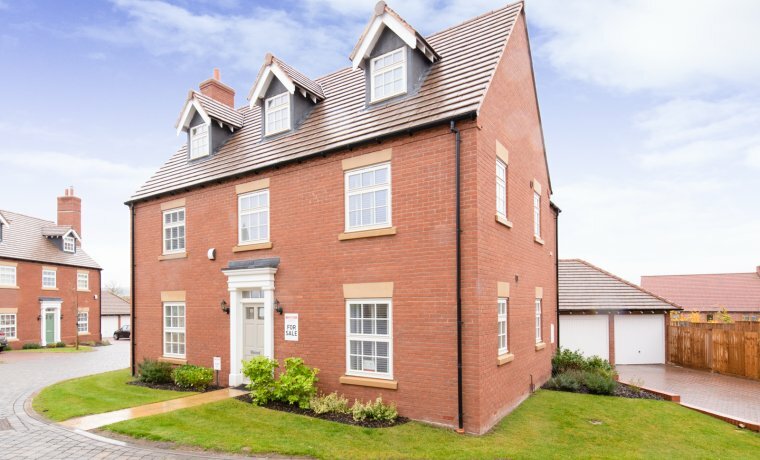 The quality specification is testament to Barwood Homes assurance that every new home is finished to the optimum quality and will provide you with a practical and stylish layout and flexible living to suit your life style. Each Springhill new home has a thoughtfully designed kitchen layout, created by a specialist designer to ensure a stunning environment and focal room in your new home is achieved. Granite worktops and upstands are provided as standard to all kitchens and every purchaser (*subject to build stage) is able to select the cupboard unit doors and the handles. Further personalisation is offered (*subject to build stage) from a vast selection of ceramic and porcelain floor tiles to all kitchens and utility rooms to complete the stunning look. Sanitaryware from the Laufen Pro-S range which has an exemplary reputation for supreme quality is provided as standard to all bathrooms, ensuites and WCs. High quality Vado thermostatic shower valves and chrome taps are fitted as standard along with chrome towel radiators. All bathrooms, ensuites and WC floors are full tiled. Tiled upstands are fitted to the bathrooms and ensuites (skirting boards to WCs). 300mm high tiling around all baths (unless there is a shower over the bath). Full height tiling to shower cubicles. Splash back tiling to wash basins. 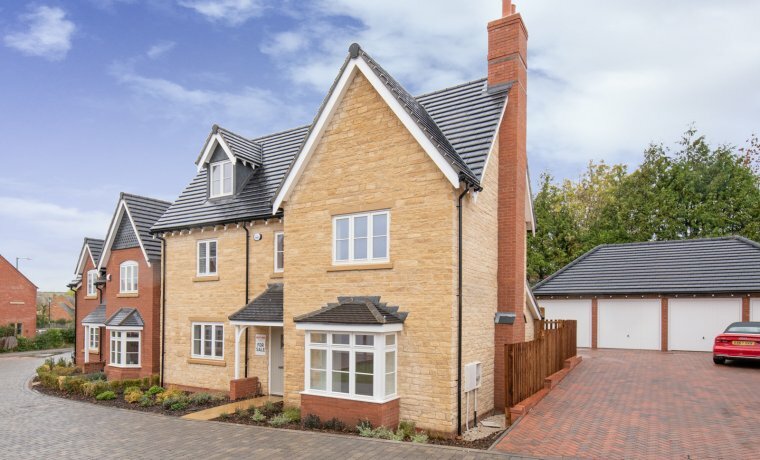 Each new home is constructed of either local, natural stone or red brick and each front door is painted in Farrow and Ball paint and all windows are timber construction which complements the high quality finish. 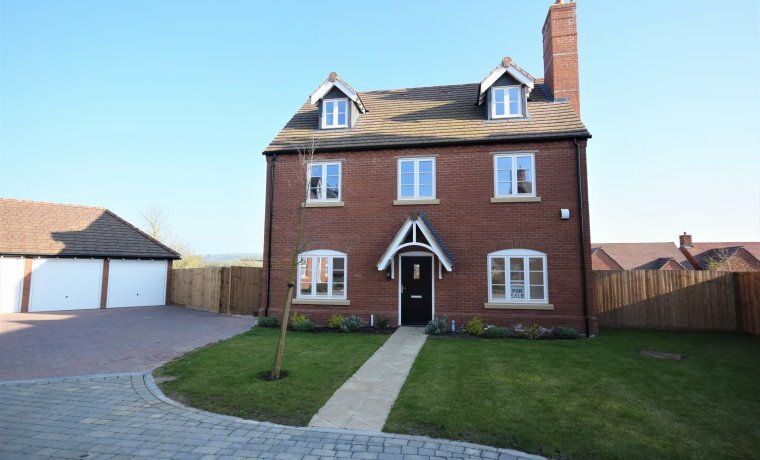 Each home has allocated parking and either a carport or garage. Each home is landscaped with turf to the rear garden and ornamental planting and bark to the front garden. Each garden is enclosed by either a brick wall or close boarded fencing, driveways and the new estate road will all be block paved. House type specific electrical and heating layouts are designed by specialist consultants and available to view upon request. Plans denoting the location of radiators, light switchesand electrical sockets are available to view on request. Low level pendant lights are fitted throughout, with the exception of the kitchen, bathrooms and ensuites which are all fitted with LED downlighters. TV points are fitted to the living room, kitchen and all bedrooms. BT points are fitted in the living room, master bedroom and study (where appropriate). A shaver socket is fitted to the ensuite bathroom. Smoke detectors and a burglar alarm are fitted. An external light is fitted to the front elevation. Ogee profile skirting and architrave is fitted to all rooms. Polished chrome, lever-on-rose furniture, is fitted to all rooms. Walls can be personalised with a choice of up to two colours from the Crown range of paints. Doors, skirting boards and architraves are all finished in satin white paint. All windows are timber framed construction and painted white. A Barwood home is not just built for today, but designed as a permanent enhancement to the villages and towns they are situated in. This is achieved by our commitment to excellence in design, sensitive landscaping and addressing the needs of not only our customers, but their neighbours and also the wider community. Every detail and aspect of what we do has been carefully thought through to deliver the best design and quality on all our homes. Barwood’s quality is evident not only in the finished product, but attributed to the skilled professionals involved in the overall process.